Grand Theft Auto 5 has received a new patch on consoles. Patch 1.09 (called Patch 1.23 on PS3 and Xbox 360) makes a wide range of bug fixes while also tweaking online heists slightly. Heist matchmaking should be faster once you've downloaded the update. You'll also be have a couple of new options for the lobby that determine whether strangers can join your heists and whether players you've invited are allowed to then invite their friends. The patch notes also mention that Rockstar fixed a bug "where vehicle frames were not visually displaying damage correctly." Less detailed vehicle damage was one of the visual downgrades that PS4 and Xbox One owners noticed after the last update to the game. "We are aware of some graphical issues on the Xbox One and PS4 versions of GTAV after the most recent Title Update, and we are investigating a fix now," Rockstar said earlier in the week. Other graphics issues, like lower draw-distance, weren't mentioned in the patch notes. 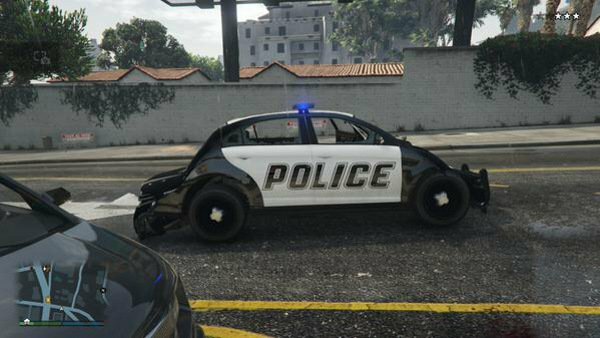 I suppose GTA 5 players will need to wait for a later update to get those fixes. The patch also had an unexpected side effect. Players are reporting that their GTA Online characters' appearances are being abruptly changed since the update. Rockstar said this morning that they're currently investigating the problem but don't have a timeline for a fix. Try not to be too upset if your character swaps genders in the meantime. A new option has been added to the Heist Planning Board that will allow you to press Left on the D-pad to quickly join a Heist as a crew member. You must have an active Heist in order to access this feature. A “Matchmaking” option has been added to Heist lobbies that allows the Host to quickly change whether matchmaking is open or closed. When set to “Closed”, only invited players can connect with the Heist lobby. This option is “Closed” by default, which means only players you invite can join the session. The “Client Invites” option has been reinstated for the host of the lobby that is “On” by default. This allows players that have joined the Heist to invite their friends. If you only want the host to be able to send invites, “Client Invites” should be set to “Off”.